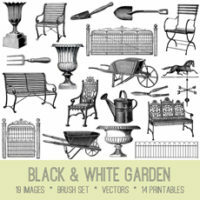 Today we have a fabulous collection of 7 Garden Tools Clip Art! All are Free for you to use. 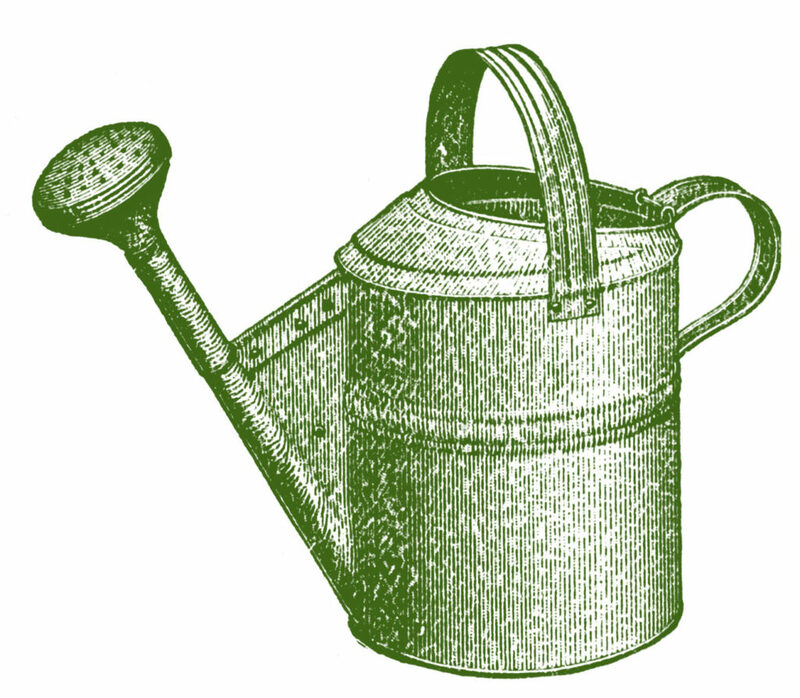 Pictured below are three charming watering can pictures. One of them is filled with lovely Violets. There are two garden shovels and a nice set of garden trowels. 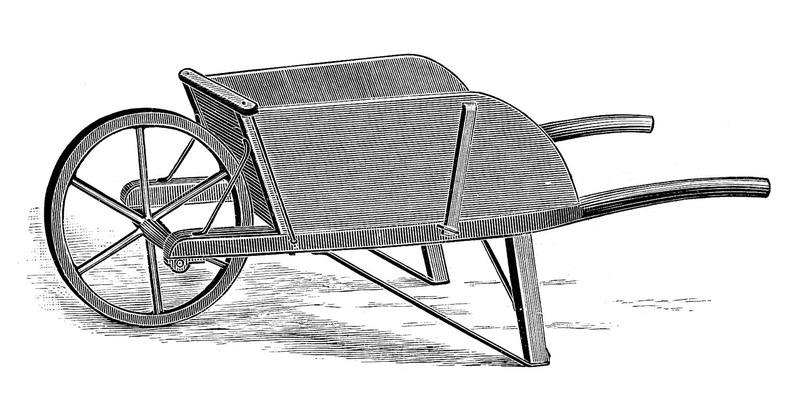 I just love the three wheelbarrow images in the set. There are three versions that will suit any of your needs. These Garden Tool pictures are absolutely perfect for making your own Handmade Cards or Stationery. How about creating a Garden Theme Junk Journal this Spring? Here’s a cute and classic Vintage Watering Can Image! This one above comes from an 1890’s Hardware store catalog. Wouldn’t this make a cute Handmade Card or Gift Tag for a Gardening friend? Here is the same image in an attractive shade of green. I thought that you might like a different colorway. This is a charming Vintage Image! This old Die Cut Scrap Piece consists of a bright Green metal Watering Can that is filled with lovely flowers. The flowers are eye – catching colorful purple Violets. 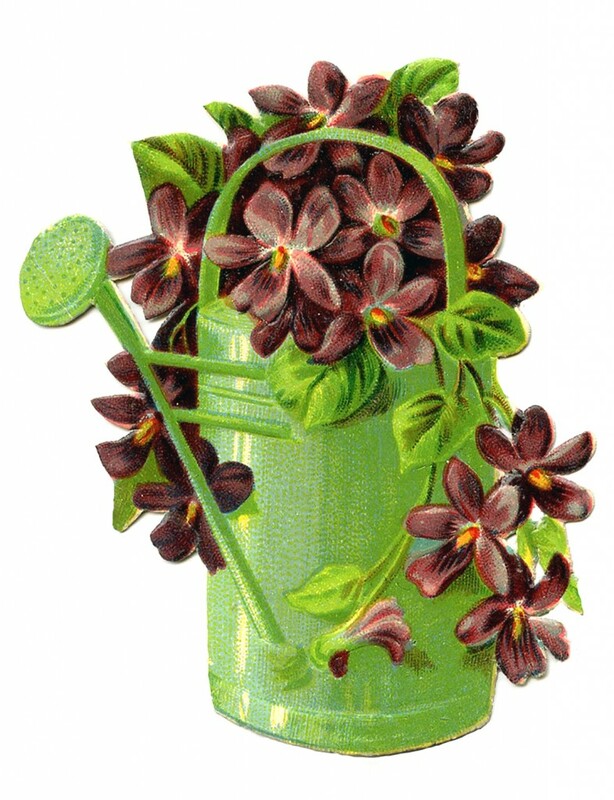 This is such a wonderful image for Spring and perfect for your Garden Projects or Handmade Cards! 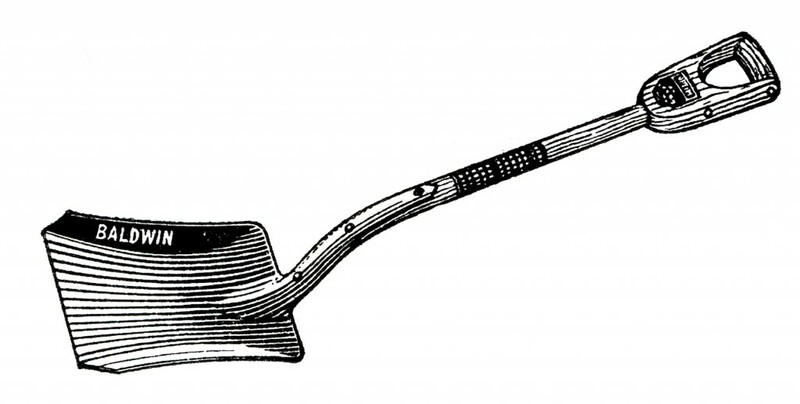 Shown above are fun Free Vintage Shovel Clip Art Images! These were scanned from a Circa 1920’s Hardware Store Catalog! There are two classic looking Garden Shovel pictures. One of them has a rounded base while the other is more square shaped. They appear to be made out of iron with a wooden handle. I love the fact that they are drawn with such precision. 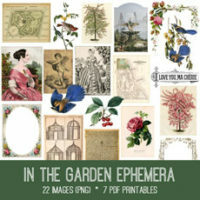 These are also great for your Garden themed projects or scrapbook pages! The splendid image pictured above comes from an antique Dictionary. 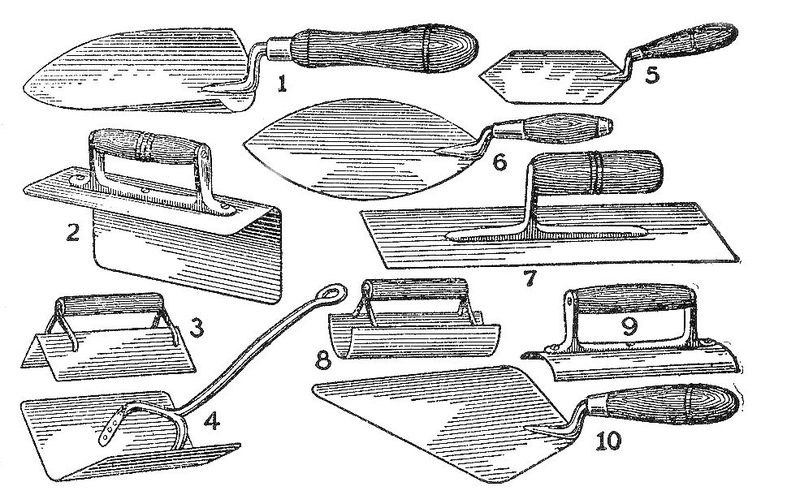 This one shows a fun mixture of Trowels; some are for the Garden and others for various applications. I like how they are placed all together and designated by the numbers. They could make a cute background for a mixed media project or perhaps a card for someone doing a Home Improvement project! These are some great identical looking Vintage Wheelbarrow graphics from an Antique Hardware Store Catalog! The original image is at the top. I’ve included a version without the grass and another that I colored in as well. I think that the dark green color of the center image is quite captivating. The larger third image provides a nice visual for viewing the fine, intricate patterns in the drawing. These are truly superb for your Garden Style projects. I am also thinking that this would be cute on Pillow for a Porch! I hope you enjoyed this fun curated collection of 7 Garden Tools Clip Art!! 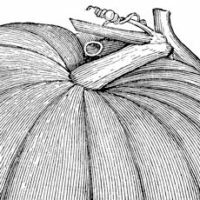 You might also like our 10+ Best Vintage Herb Images HERE. Oh! I know just what to do with this! Thank you! Hi Karen – I just love your art — thanks for finding so many neat things! I have a couple of things that you might enjoy – a 1910 postcard of a sad puppy and a few fun old pictures from the ~1920’s. Do you take contributions? What form is best to scan them? You can email me at: truffles111 at yahoo. I will check there (and the spam) for about the next week.